What is the bathroom remodel cost in Los Angeles ? The layout of your bathroom plays an important role in the bathroom remodel cost. If the new layout will entail a lot of renovation, the price will definitely increase, hence If you can adhere to your current layout, it will reduce the bathroom remodel cost significantly. By using the same layout, there will be no need to add new piping or wiring since the layout for your bathroom is the same. Certain layouts which require the addition of extra walls for privacy or just demarcation purposes also tend to increase the costs. Another factor that can drastically affect the cost of a bathroom remodel are the types of materials being used. 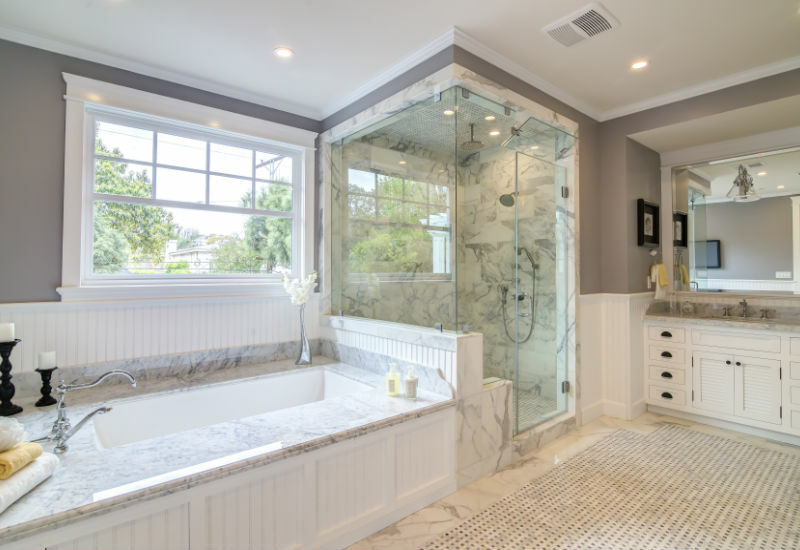 Depending on your taste, the cost of materials can vary tremendously so you should be willing to spend more if you want marble floors in your bathroom as compared to vinyl floors. Other types of materials that will add to your expenses include types of lighting, ceiling of whether you want to turn your bathroom into a smart bathroom. The cost of labor usually depends on the experience of people working on your bathroom and the more experience they have, the more costly they are likely to be. The number of people working on your bathroom is also a factor in the final cost of labor. As a rule of thumb, labor usually costs about 20% to 35% of the total cost of bathroom remodeling. You don’t have to worry about any labor costs, if you hire a licensed and experienced contractor such as Landmark Construction Crew. Even though a bathroom remodel might seem costly, it generally recovers more than a 100% of the cost in resale vale. Landmark Construction Crew is always ready to take on any bathroom remodeling projects in Los Angeles whether small or large. Contact Landmark Construction Crew if you are looking for a bathroom remodel with a Licensed, Bonded and Insured contractor. Call us at (818) 319-4970 for a FREE consultation. CSLB# 989394 | Copyright © 2018 Landmark Construction Crew | All Rights Reserved.